GOLD INVESTMENT prices hit 8-month highs at the start of London trade Wednesday, reaching almost $1316 per ounce in US Dollar terms as world stock markets held flat overall ahead of today's Federal Reserve interest-rate and policy announcement. London's FTSE100 index of mostly foreign-earning corporations rose most steeply, adding 1.4% as the UK's Prime Minister Theresa May tried to re-open Brexit negotiations with the European Union after Parliamentary voted again last night to reject the 'Irish backstop' agreed with the EU for preventing a hard border on the island of Ireland after Britain's 29th March exit from the world's largest economic bloc. 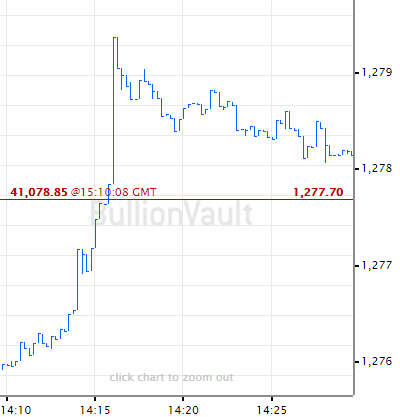 While the Fed is expected to leave US interest rates on hold, Shanghai gold prices rose overnight almost as steeply as Dollar quotes for investment-grade bullion. With the key Chinese New Year festival now less than one week away, that kept the incentive for new gold imports into the No.1 consumer nation above $13 per ounce. Gold investment demand among private US citizens is "off to a strong start" in 2019, says the latest weekly note from specialist consultancy Metals Focus, pointing to solid New Year sales of American gold Eagle coins. "This owes much to the impact of increased volatility in US stock markets and the strong performance of precious metals prices." 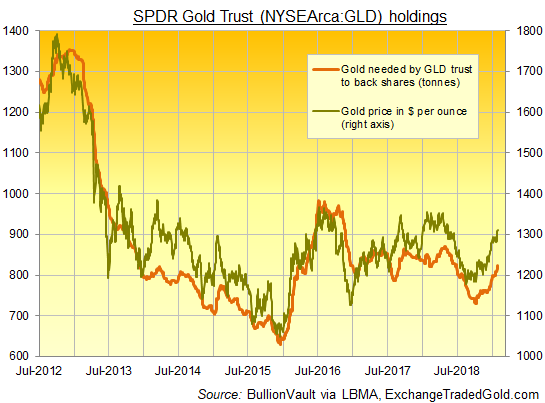 US money managers also show growing interest in tracking gold prices, with the largest gold-backed ETF trust fund – the SPDR Gold Trust (NYSEArca: GLD) – expanding to its largest size since June by last night's close.
" 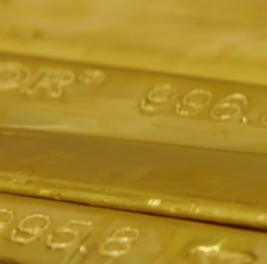 We remain positive on gold," says London bullion bank HSBC's chief precious metals analyst James Steel, because "financial market volatility is up compared to last year. "If you see equity, financial market volatility, indicating a degree of investor uncertainty, that would explain why gold has become more popular in the last couple of months." "Whilst markets have factored in some of the downside risks of Brexit and US-China trade wars," says the London Bullion Market Association – today presenting its 2019 gold-price forecast survey of professional analysts – "other factors such the level of US real interest rates, strength/weakness of the Dollar, the likely impact of geopolitical factors and the pace of global economic growth continue to provide uncertainty." "Gold rallies are more likely to be sustained if investor demand is resilient and broad-based," says the new Q4 2018 data and analysis from Refinitiv – formerly the data and risk division of global news agency Thomson Reuters. "[But] while ETF and bar and coin demand is expected to see a return to growth, physical markets are likely to be subdued due to the higher price level." With Chinese Yuan gold prices today reaching their highest since April 2017, prices for consumers in No.2 demand nation India today neared fresh all-time record highs according to the Economic Times, with import duty and the 3% GST sales tax taking the price of 99.5% fine jewelry up to 33,815 Rupees per 10 grams in Mumbai's Zaveri Bazaar. 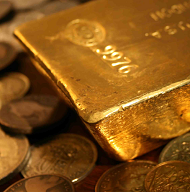 Back in London's wholesale bullion market, silver meantime tracked gold prices higher and then lower ahead of the US Fed interest-rate decision on Wednesday, peaking within 2 cents of $16 per ounce – the highest Dollar price since July. Platinum prices struggled in contrast, slipping back below last week's closing level at $818 per ounce. Silver prices are, on today's average LBMA forecast, expected to show a 3.6% rise across 2019 – hitting a peak sometime this year at $17.99 – while platinum prices will fall nearly $30 to average $851 per ounce. Already slipping 3.1% so far this New Year from 2018's record-high annual average of $1029, palladium is seen rising by almost one-quarter across 2019 on average, extending its surge on a global deficit of supply to meet demand. "[But] as the trade war drags on," cautions French investment bank Natixis' Bernard Dahdah – the most bearish palladium forecaster for 2019 with a view of just $900 per ounce – "we expect weaker economic growth and [auto] sales in both the US and China. "The biggest risk to prices [will come] from Russian state reserve sales." Widely expected to bring no change to Dollar interest rates, today's US Fed decision comes as UK Prime Minister Theresa May prepares to head back to Brussels in a bid to renegotiate the 'Irish backstop' element of the UK's withdrawal agreement with the European Union, rejected in favor of unnamed "alternative arrangements" by a narrow majority of UK lawmakers on Tuesday despite the EU repeatedly saying it will not re-open talks. "Confronted with an increasingly irritated public...watching with mounting despair...more than a few MPs are worried about the prospect of deselection," says long-time Brexit advocate and blogger Richard North. With just 58 days until the legally set 29 March deadline, "There will still be a few delusional MPs who believe that the EU will cave in," North goes on, "but my guess is that the majority are beginning to see the writing on the wall." 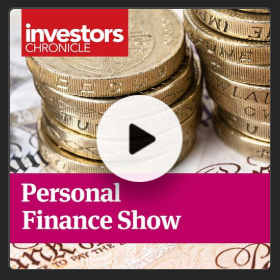 Adrian Ash is director of research at BullionVault, the physical gold and silver market for private investors online. Formerly head of editorial at London's top publisher of private-investment advice, he was City correspondent for The Daily Reckoning from 2003 to 2008, and is now a regular contributor to many leading analysis sites including Forbes and a regular guest on BBC national and international radio and television news. Adrian's views on the gold market have been sought by the Financial Times and Economist magazine in London; CNBC, Bloomberg and TheStreet.com in New York; Germany's Der Stern; Italy's Il Sole 24 Ore, and many other respected finance publications. See the full archive of Adrian Ash articles on GoldNews.